When Sarah invited us last Thursday to “show me yours, show you mine” our stashes, I was all, “OK, this is just fine. I only have this teeny pile of Juliana Horner that I bought at Joanns with a COUPON so I have been totally virtuous this week. I can link up WITHOUT SHAME.” Then I came home, read her actual post, and got a little quiet-feeling. Actually we are supposed to show our whole stash. No longer a without-shame proposition. So I’ll talk shame etc. at the end (if you’re still around); for now, the photos. Here’s my fabric-catcher table. This is where hibernating WIPs land. 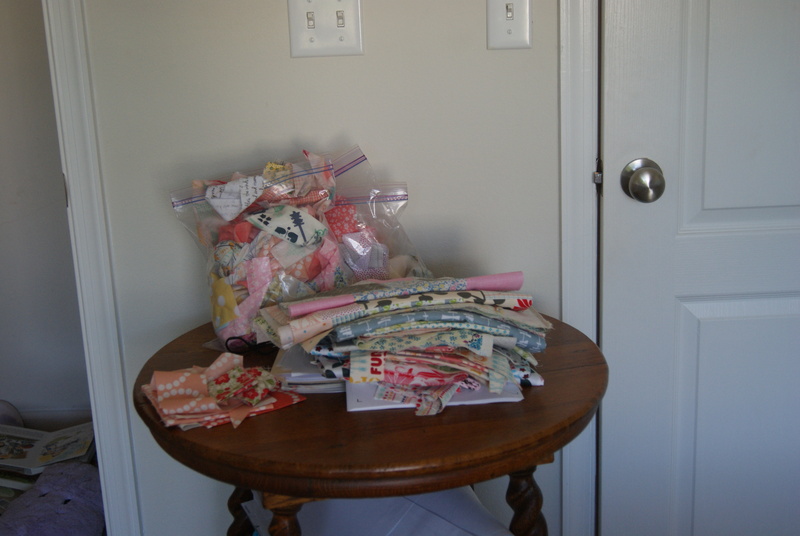 This is also where handfuls of fabric scraps that “I can’t deal with because the baby is awake now” land. I’ve spoken before about my one-bin husband-specified-credit-card-limit system. It’s a deal I struck with my husband that encourages me to be a little economical. It also encourages me to USE what I buy rather than cherishing the precious fabrics. Let me just say I am more or less successful on the credit-card-limit front. Liberty Lifestyle Bloomsbury Gardens, brown (I know! but it looks so 70’s and awesome to me. I’m waiting for fall to come and I’m going to rock this pile). These are just larger scraps. So I don’t feel guilty about this pile at all. Echino from guild swap. 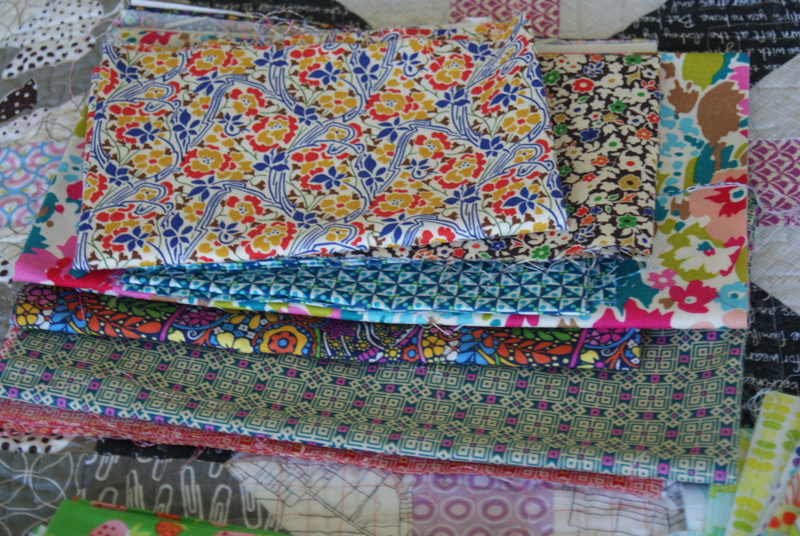 Yes, I do feel a little guilty about this pile, because I think this fabric is too lovely to sit in a bin. Sketch pile, which was purchased as a bundle last November but is reduced to mainly scrap by this point. If you’re wondering what you can do to quickly enhance your stash, I recommend Sketch, early and often. I use this pile all the time. AND PILE OF SHAME: DS edition. I bought Flea Market Fancy as a Lucy’s-first-birthday gift to myself. My husband gave me I bought Chicopee as our fourth anniversary present last summer. I wanted to make Denyse Schmidt’s Cog & Wheel pattern. (Didn’t we all?) I love this pile of fabric and it is just sitting. Besides a pile of Ziplocs full of scraps and the pile I pulled for the Penny Sampler, this is it. Please tell me I’m normal(ish). This week I worked on a stash re-org project that I’ll share later this week. I’m also plotting how I can make a plan to USE all this gorgeous stuff. It’s doing me no good in the piles. 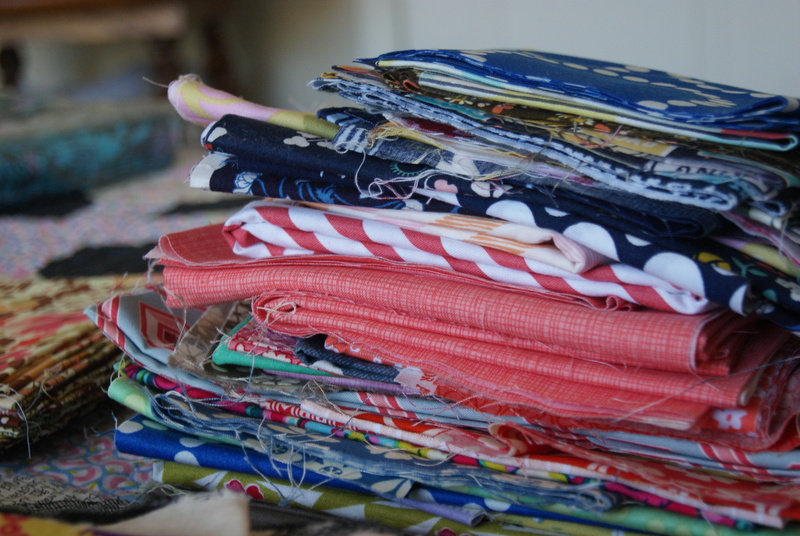 How are you feeling about your own fabric pile at this point? 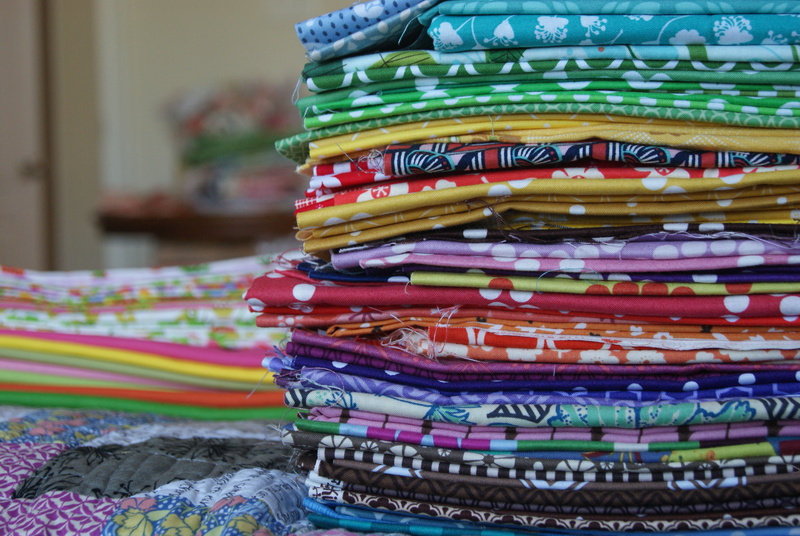 Are you a saver, or are you really good about cutting and using all of your fabrics? Do you buy full-line FQ bundles, or just the prints you like? We want to know! Linking up with Sarah at Theory Thursday! i am dying laughing as i read this and edit my own post. we are the same. this is great. and i love that he “gave you” DS for an anniversary… because tonight i was JUST thinking, I wonder if I can convince forrest to buy me a yard bundle of Chicopee for a Christmas/birthday present. WHO THINKS THAT?! hahahahahaha. plus, when i am sad, i buy fabric too. it’s great. So much healthier than emotional eating! Oh so funny! And such fun to see someone else’s stash. Me too! The only full line I’ve ever bought is Architextures and then I started out choosing prints then went back later and bought the others because I couldn’t resist. I do find it hard to cut into my favourite fabric and periodically say to myself that I won’t buy anymore until I’ve used lots up, but somehow it’s all tagged for a specific project then I NEED something different to make a gift for someone… And something else might just get shipped too so the shipping cost is made the most of coz that’s just sensible right?! liz! 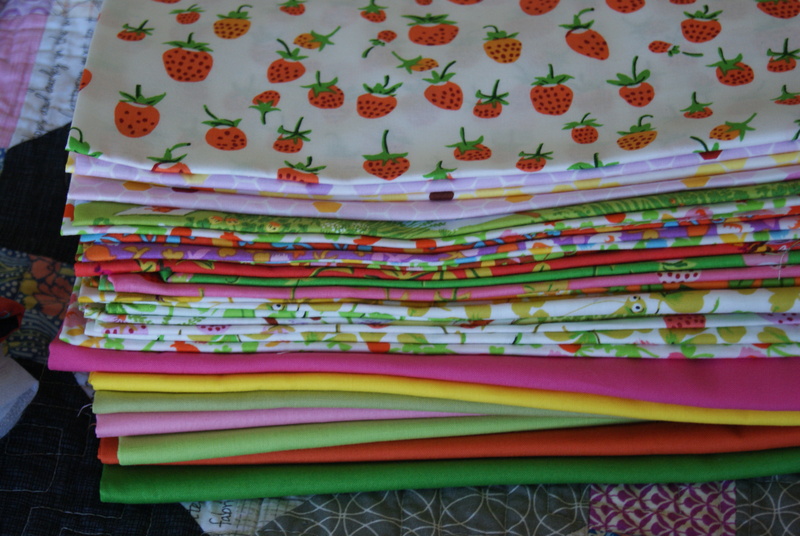 my mom always says: i see you are buying more fabric… there goes money for my grandbaby. hahahahahahahahaha. 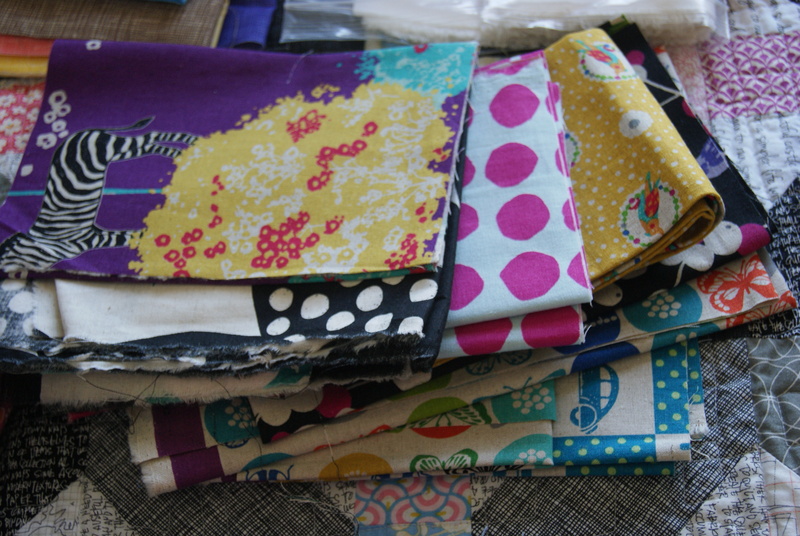 I’m relatively new to sewing and quilting, so I’ve been mostly buying what I need for a particular project. The only problem is, I have lots of projects that I intend to make in the future, so I buy fabric for them, but I’m so time poor that I never get to making anything and I tend to forget what the fabric was intended for. Now I have quite a bit of fabric for a person who rarely gets to sew, and have decided to buy no more until I am actually in the process of making something that requires a particular design that I don’t have. I LOVE your fabrics. You make good choices. Maybe we should all follow the one-bin rule so we are forced to really think before we buy. Thank you so much for sharing. I think I’ll go back and read this again. My name is Sarah and I am addicted to fabric hoarding. I have shelves. It is a problem. But, to be fair. I NEVER buy fabric for a specific project (unless I need a specific solid). I always just pick up bits and pieces of helpful prints here and there (ha! everywhere) that I pull out when I decide to start something new. I think that keeps me from being too bad of a hoarder… Right? Right? Also Waterfront Park was worth it (enabler speaking here). I think your stash is quite modest and nothing to be embarrassed about. Good choices and very well curated. 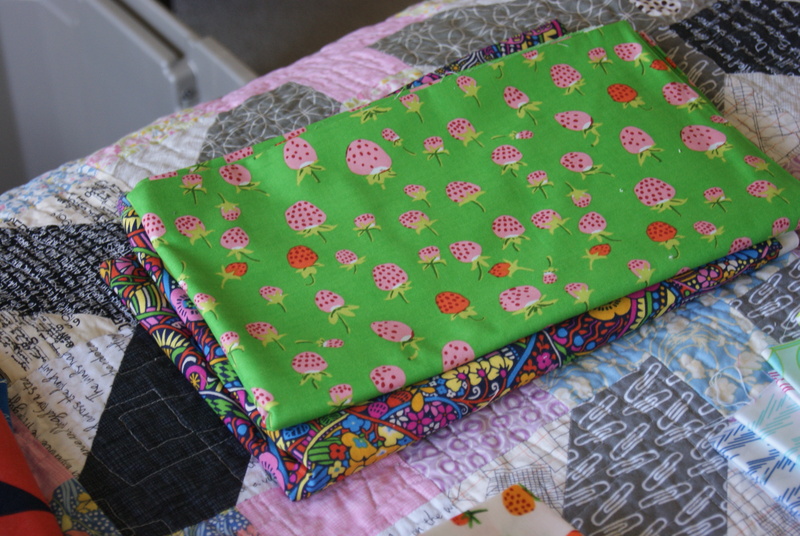 I keep trying to tell myself to stop buying full FQ lines because I don’t really love making quilts with only one line of fabric but there’s something about wanting every piece of a line!!! Lately, I am forcing myself to break up the bundles and use them in different projects and it’s working out. LOVE your stash! I am so obsessive/compulsive about things and go whole hog into hobbies. That means spending, too. I am trying very hard to keep my stash to the big pull out drawer in my sideboard but admit that I do have bags of fabric stashed under my bed. 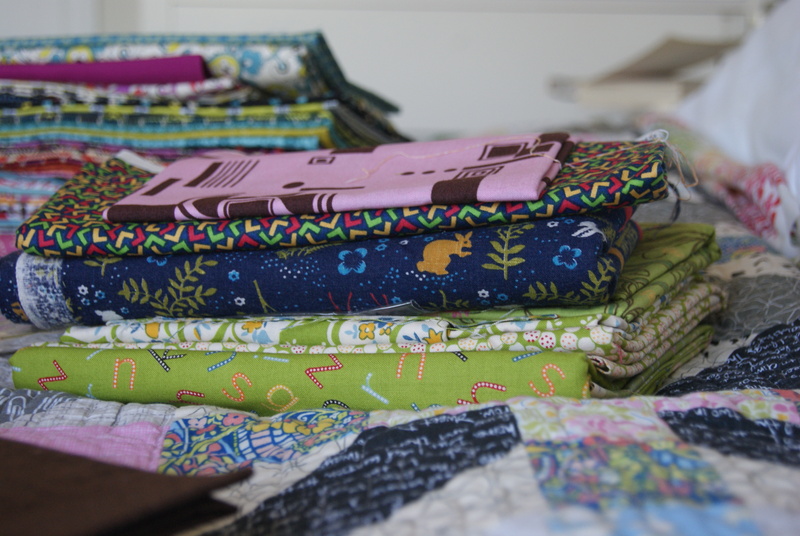 😀 I like to mix my quilts up and not have it all from one fabric line so I use that excuse to talk myself out of buying FQ bundles. 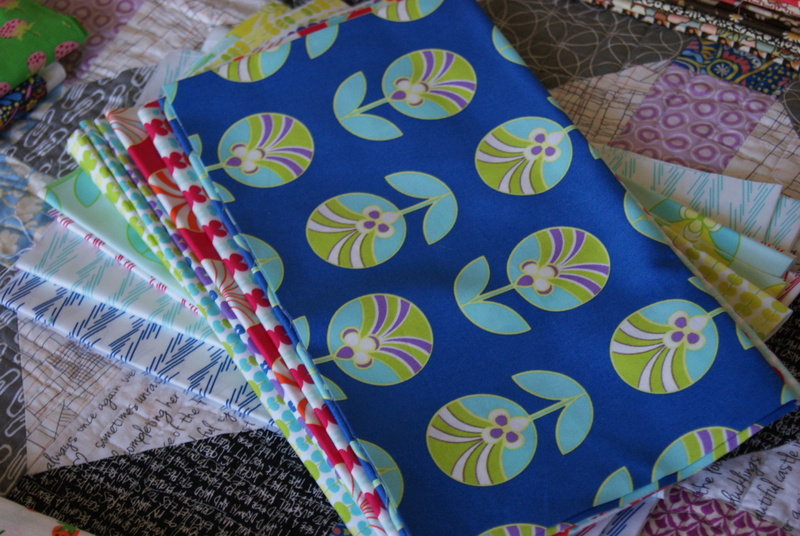 Instead I buy a FQ here and there, sometimes a 1/2 yard cut if it’s on sale. I also try not to hoard it because I’m so spastic that if I hoard it for too long because it will become one of those ‘but I had it for so long that I can’t use it now’ things. Right now I’m weaning myself off of ordering stuff so keep reminding myself that I can always buy FQs or more yardage on Etsy, I don’t HAVE to have the new stuff now. Badskirt Amy did a post a month or so back on her blog about the size of her stash & it made me feel much better about not having a massive stash. Great post. I don’t have any pics of mine (yet) but if I did, it would look eerily similar to yours! I mostly just buy prints I like but I have a few FQ bundles and I rarely buy for a specific project. Pulling out my stash to refold last night. I came to realize I have more fabric than I think. 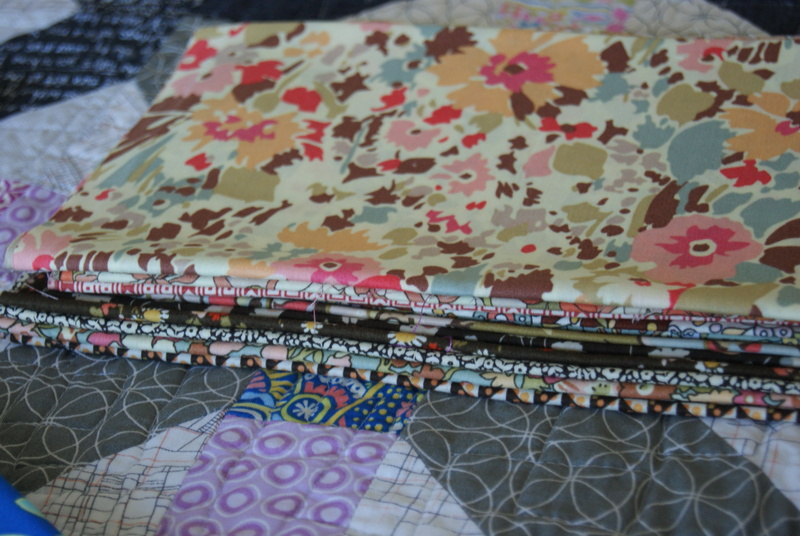 I have a acquired few FQ bundles among other stacks, lol. I think that I need some Liberty in my life. Some stash builders. Oh and some low volume! Lol. Pretty fabrics Laura! 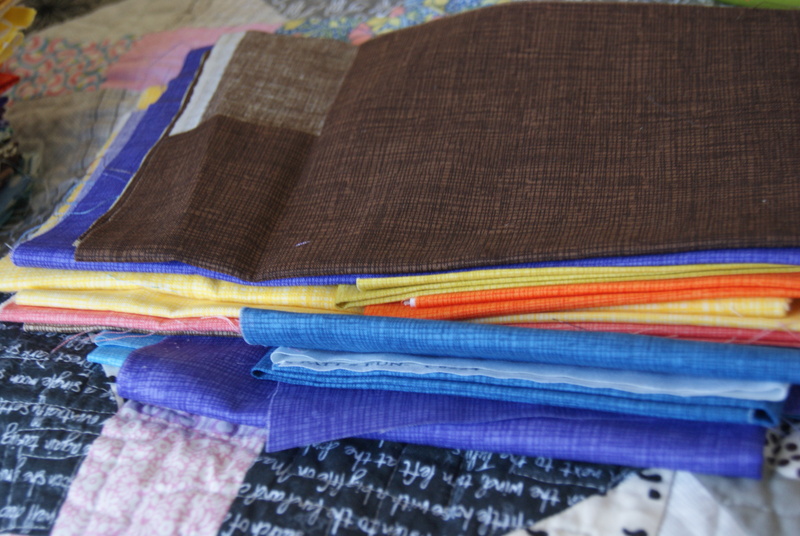 Also I need to break away from using a complete bundle in a quilt. Mix it up a bit. I need to be more brave! Yes! Love this post. And by “yes!” I mean, let’s not talk about yarn. 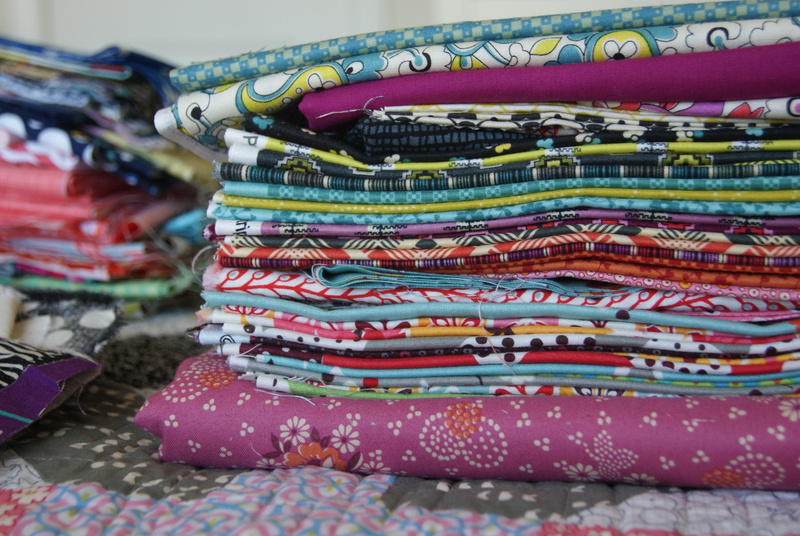 I have one bin for my fabric too – however everything is bagged into colours or designers. I never pull it all out a once, and I don’;t think I should post photos on my blog in case my husband sees how much I really have. Hoping to sneak some Kaffe home this weekend too. Yes I think I am and addict. Wow! 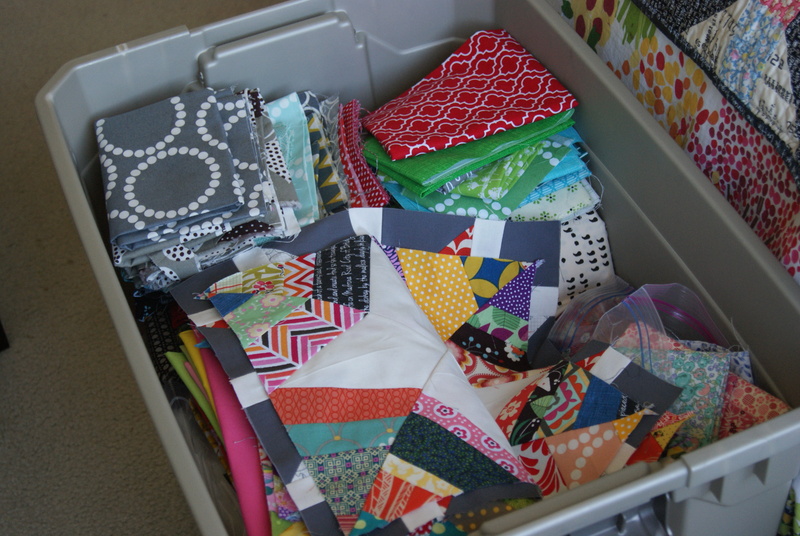 I can’t even remember a time when my fabric would fit into one bin. I am very impressed with your restraint! I think this is completely normal. All of us are completely normal. The problem is there isn’t enough time in the day to pursue all the ideas we have for our fabric. Such a baby stash!! You do not need to feel guilty At All!! My stash is our former dining room – nearly full, a cupboard near the kitchen – full, and a small dresser in the back bedroom – full!!! Love your stash!! Enjoy it. Oh my gosh Laura you are hilarious! I’ve loved reading all of these stash posts! I’m impressed by your husband-stash arrangement and almost spit out my coffee reading about you getting cornered by the MIL in pottery barn haha. I’m also stash hard when I’m sad but there are worse problems 😉 I’d love to see your yarn stash sometime soon! Oh honey, I emotionally buy fabric too! You should have seen what happened when an ex-boyfriend randomly flew into the country a few months ago. Did we meet? No. Did we speak? No. He just landed in the country and I found out and then I went fabric shopping bonkers. So you are forgiven, and embraced! Also, I think our fabric collections could have babies. Lots of lovely things in your stash – it definitely doesn’t seem excessive to me! I like your philosophy of using your fabric rather than letting it just sit in a bin. And yes, I will totally buy fabric online in a moment of emotional weakness! I’ll totally enable you and tell you that your stash isn’t that large. Really. 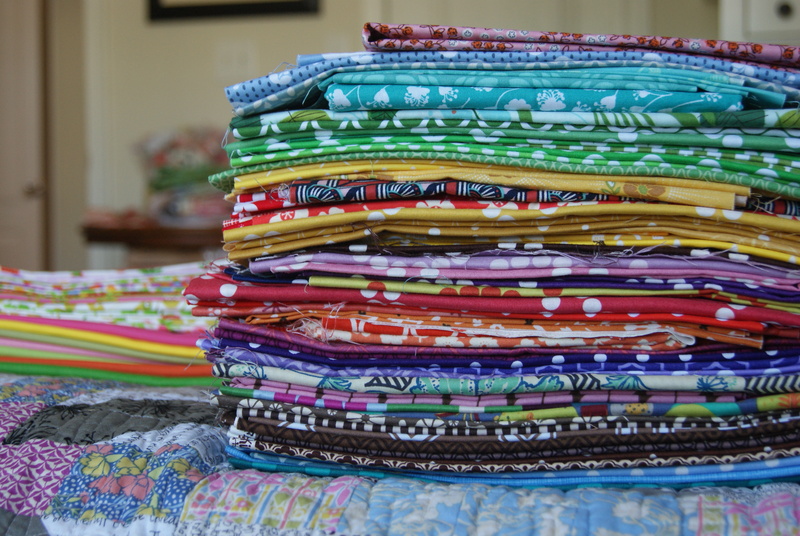 Because if your stash is shameful, then there are no words for my FOUR-large-bins-of-fabric-stash… (hiding her head). We all buy things when we are upset. It’s a little present to ourselves to make us feel better. Us quilters just choose fabric. Personally I am on a budget, so my stash grows slowly. Usually when there is a sale. My LQS has a end-of-bolt section with 10% off, 20% if you finish off the bolt. That is nice for a little stash building without breaking the bank. I also, sadly, do not have the space for the bedroom sized stash that we all would love.